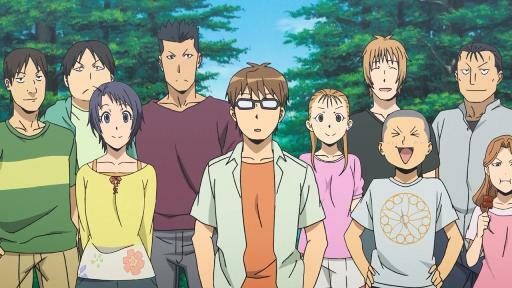 According to Silver Spoon, farming could lend you some perspectives about life. So did watching anime about farming, apparently. Here I explored some of the topics that I thought was interesting from both seasons of the show. One of the earliest things Hachiken learned from school was that everything in the farm had its own specific purpose since its birth. For example, a pig was fed under predetermined food schedule, in order to specific weight. Every part of its body would become different kind of pork, with different prices. Female calves became dairy cattle until they were too old or injured, in which case they became meat. Hachiken was discouraged to get too emotionally attached to the animals. They had their jobs to fulfill and he had his. Unfortunately, freedom was also the luxury none of the student could afford. Most of Hachiken’s friends were born into families with specific agricultural background. They were not free to choose their career because they were expected to carry on the family business, especially those from poorer family. Even in some students whose choices were not limited by financial factors, they still pursued careers in agriculture because they grew up in such environment. It was the world they knew best and they naturally drew inspiration from people around them. So you see. Every decision we made was influenced by what we have been through. Complete freedom of choice does not really exist. We do not exist in a vacuum. We are the results of what happened before and probably the causes of whatever is coming in the future. As one of his friend pointed out, Hachiken may have the most freedom to choose his own future since he came from middle class family of salary man. Ironically, Hachiken had always been worried about his future because he had no idea what he was going to do. Later, he started to see his condition as a reward and started to enjoy every new experience he had in the school. In the end, though he still hadn’t figured out about his future career, he was a much happier person compared to the beginning of the series. Hachiken was often lost in his own thoughts or could be overly obsessed about trivial things. His friends initially dismissed him as being overly thoughtful. But asking question was part of the learning process. Being an outsider, Hachiken often raised interesting questions out of seemingly mundane things that farm kids were already used to. Life will never be boring if you keep asking question because it helps lend fresh perspectives to ordinary things. Hachiken’s questions lead to lots of further discussion in the group and actually made the whole experience in the school much more productive. Having diverse group of people, with different ideas and viewpoints, in a society was important for its growth and prosperity. When Hachiken arrived at Yezo agricultural high school, he was like a lost soul. All he wanted was to flee from his family and his previous life. He nearly fell apart when he found that the life in this new school was far harder than he anticipated. Hachiken also felt guilty for running away. He initially believed that his running away was the evidence of his failure as a student and as a son. But running away was not always a cowardly or wrong action. It might just come down to how we look at each problem and action. The school principal said it best. He told Hachiken that he should not get stuck in the past. Running away eventually brought Hachiken to this new school and to these new people who inspired him. His running way brought about the change that he needed and opened up new doors for him. It was okay to fail or retreat when necessary, as long as he did not give up. But who knew what would become of him if he decided to stay back home and endured? May be he should have stayed and face whatever the problem he had. Ultimately, it might just be destiny that brought him here despite endless of other possibilities. All he could do was to make the best out of today and stopped regretting about yesterdays. 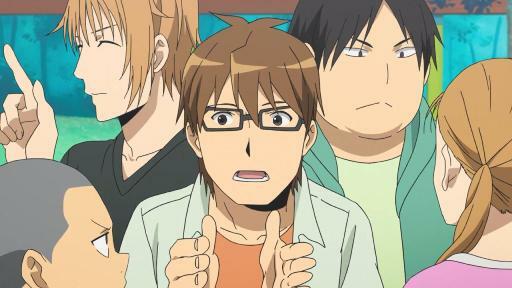 Silver Spoon certainly went beyond being just another comedic slice-of-life anime series. The most impressive thing about this show was how it could present so many thought-provoking subjects in such simple and entertaining way. 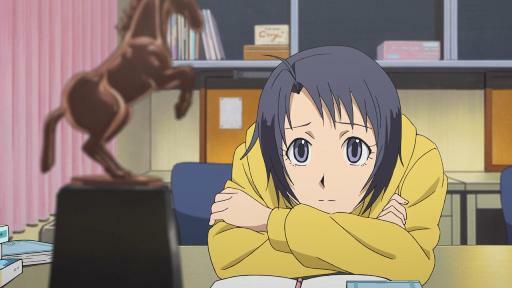 You might have noticed that I haven’t rated this anime. That is what I am covering in another post. This entry was posted in Articles, Talks and tagged destiny, freedom, life, Silver Spoon. Bookmark the permalink. Nice post Canne, really nice to know theirs someone that kinda shares my opinion in how much Silver spoon reflects in real life situations. First of all this anime/manga is unique in terms of story as it’s based on the authors experience when young hence made this more genuine. I had no idea of how complex farming could be and although it’s an anime, it did open my eyes. I’m kinda like Hachiken whereby I have no clue in what to do but chose to go into a different route that of my family had planned and well so far it’s enjoyable. Anyway the point is that it’s a shame not a lot of people take note of this series or how come it hasn’t really hit it off (the anime sales weren’t that great unfortunately..) it deserves more. 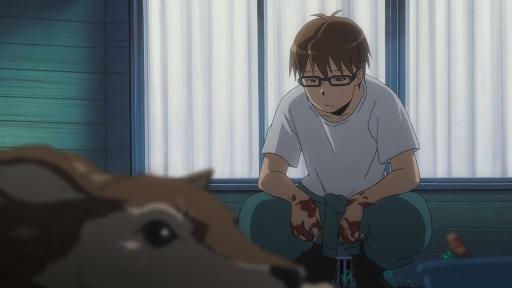 Good post…Silver Spoon also gave me a lot to ponder, though more on the animal welfare side of things. As you pointed out here though, it also brings up human issues as well, like people being forced into a career due to family or financial situations. This is certainly an interesting show. I really appreciated how it could tell a simple story that also inspired wide range of discussion, depending on each viewer’s point of view.